Today was a very informative and entertaining show featuring one of the best Real Estate Investors I’ve seen in the Tampa Bay region. Lee Kearney has flipped more Real Estate in this area than any other residential Real Estate investor I have seen over the past 7 years. He taught us a lot about the foreclosure auction sale process that occurs as the final step in a judicial foreclosure state which Florida is and discussed some of the many pitfalls Real Estate investors need to be aware of when delving into this area for Real Estate deals. 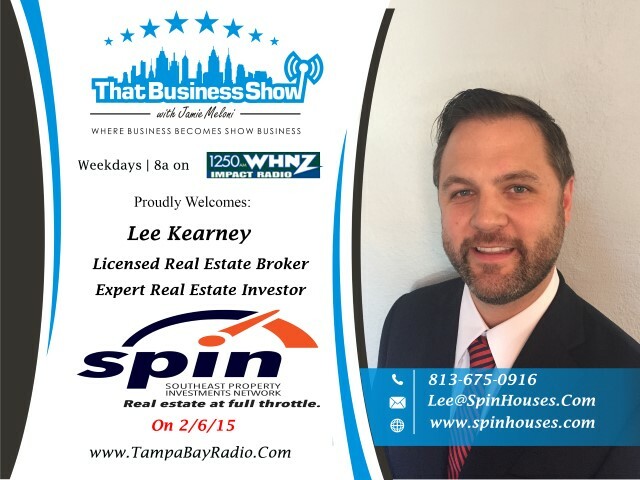 Lee also discussed his new Real Estate brand Spin Homes and you can learn more about what Lee Kearney has to offer at his brokerage at http://www.spinhouses.com or reach out to him directly at 813-675-0916.